A key group of Burma's South East Asian neighbours has issued a rare statement condemning the conviction of Burma's pro-democracy leader, Aung San Suu Kyi. She was found guilty on Tuesday of breaking the terms of her house arrest. In the past the Asean group has been criticised for not taking a tougher stance on Burma's rights record. The US, the EU, Britain and France are among those who have condemned the verdict, but neighbour China said the world should respect Burma's laws. Beijing's statement has led many to believe that China will not back any UN action proposed against Burma, says the BBC's Karishma Vaswani, reporting from the Thai capital, Bangkok. Ms Suu Kyi's lawyers have told the BBC's Burmese Service they plan to appeal against the verdict. Lawyer Nyan Win said the legal team would appeal because they were "not satisfied" with the judgement, the AFP news agency reports. "We assume that the judgement is totally wrong according to the law," he told AFP. He said he had received approval from Ms Suu Kyi to go ahead and might be able to do so as early as Wednesday. Thailand, the chair of the Association of South East Asian Nations (Asean), said it had learned with deep disappointment that Ms Suu Kyi was sentenced to 18 months of house arrest with limited freedom. But analysts say it is unlikely that Burma's leaders will pay much attention to Asean's statement. They are believed to be far more concerned about the opinions of their big neighbours - specifically leading trading partners China and India, says our correspondent. Both countries have been accused by critics of propping up Burma's military government, especially in recent years, as growing economic sanctions have strangled Burma's trade relationship with the West. After Tuesday's verdict the UN called for the immediate release of the 64-year-old pro-democracy leader - who has spent 14 of the past 20 years under house arrest. Critics of Burma's military regime say the verdict is designed to prevent Ms Suu Kyi from taking part in elections scheduled for 2010. Ibrahim Gambari, the UN's special envoy to Burma, told the BBC that free and fair elections could not take place without her. "[Aung San Suu Kyi] is absolutely indispensable to the resumption of a political process that can lead to national reconciliation," in Burma, Mr Gambari told the BBC. The UN Security Council adjourned an emergency session without agreeing a response to the sentencing, and will resume deliberations later on Wednesday. Britain's ambassador to the UN, John Sawers, who is head of the Security Council this month, said some countries, including China and Russia, had asked for more time to consider a draft statement condemning the verdict. A statement from the office of Nicolas Sarkozy said the French president was calling on the European Union to impose new sanctions on Burma. 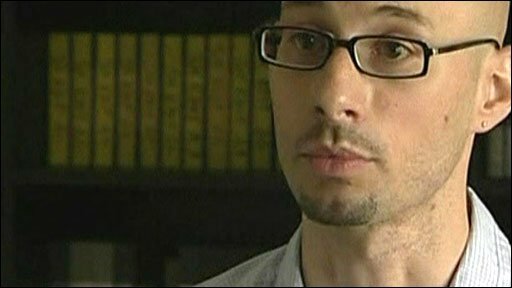 Ms Suu Kyi was on trial for allowing a US national, John Yettaw, into her lakeside home after he swam there uninvited. Mr Yettaw was jailed for seven years, including four years of hard labour. His lawyer said he would appeal "step by step" to the country's court system and would consider asking to be deported, AFP reports, quoting his lawyer Khin Maung Oo. 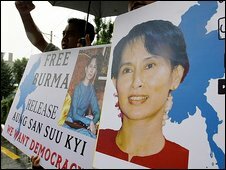 Mrs Suu Kyi's previous period of house arrest expired on 27 May. This new term will mean she is still in detention during the polls, which are expected to take place next May. Her party, the National League for Democracy, won the last elections in 1990 but was never allowed to take power.